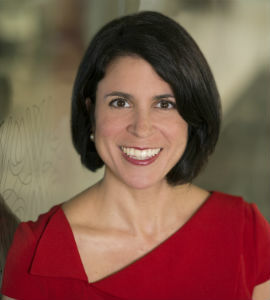 Niki Zoli is Director, Social Impact, at Marriott International, Inc. In this role she helps Marriott to bridge communities, partners and business to drive both positive social impact and business value. Niki manages a portfolio of Marriott’s social impact programs and initiatives – primarily in the youth employment and disaster response space, including the company’s social impact response to year-end 2017 natural disasters in the Caribbean. She also oversees Marriott’s annual sustainability reporting and has been part of the process for over a decade. In addition, she supports the company’s longstanding partnership with the Amazonas Sustainable Foundation to protect 1.4 million acres of Amazon rainforest in Brazil. More recently, Niki is working closely with the company’s youth engagement partners to further leverage Marriott’s 30-plus year history of working to support career readiness and employment for youth through even greater alignment of business and community needs. Prior to joining Marriott in 2007, Niki worked with other socially responsible companies and organizations including Whole Foods Market, Honest Tea, and the Discovery Channel Global Education Partnership. She also taught English in Barcelona, Spain, and managed study abroad programs for the National Cathedral School for Girls in Washington, DC. She serves on the International Tourism Partnership’s Industry Working Group on Youth Employment Targets, the Youth Career Initiative’s Strategy Working Group, on the Board of Advisors for the Universities at Shady Grove, and the board of the Global Travel and Tourism Partnership. She also is a longtime virtual mentor to a recent graduate of the Akilah Institute for Women hospitality program, the first women’s college in Rwanda. Niki received her undergraduate degree in journalism with a specialization in public relations from the University of Texas at Austin, her master’s in public communications from American University, and studied at the School of English and American Studies at the University of East Anglia in Norwich, England. She lives in Alexandria, Virginia with her husband and two young sons and travels to Italy every summer.